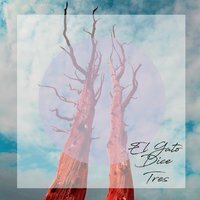 El Gato Dice have released their third album, Tres. The disc begins with Simplest Design, a work that calls back to the alternative rock of the mid-1980s (The Replacements, Yazoo). The guitar work is complex and adds considerably to this initial effort’s gravitas. With the shift to the second set of vocals at the 1:45 mark, listeners will be further impressed at the instrumentation’s ability to shift to something wholly different than what was presented at the beginning. Tame is a dreamy piece of indie-rock that builds off Transmissions from the Satellite Heart-era The Flaming Lips and Jane’s Addiction. The hopeful vocals laid down by David will bury themselves deep into listener’s minds, while the bass, drums, and guitars are variously given the spotlight. A powerful track, Tame could easily make it onto radio rotation. Someday Soon places together both vocals in a fashion that invigorates the album. The guitar/bass dynamic heard here is the musical equivalent of these simultaneous vocals. Taken all together, these couples make for another high-water mark for El Gato Dice on Tres. Hoy No Hay and Tres (the single) unite to make for the endpoints of the band’s sound. The minute-ish Hoy No Hay is intense and instrumental-heavy, while Tres is a bit slower and builds a fuzzy, guitar-dominant sound that is punctuated by a chunky bass line. Late-album tracks allow the band to conclude the story told by Tres. Bonus Life comes forth with a vocal/guitar dynamic that move into something that touches upon the psychedelic rock genre and even late-1990s alternative music. El Gato Dice make an album in Tres that can be enjoyed in singles or played in a full form, with different contexts and dynamics presented in each format. We covered the band’s Dos album back in 2016.